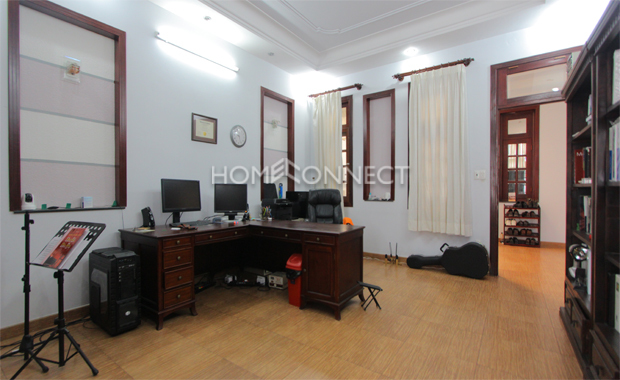 This An Phu area townhouse for lease never runs out of sunlight as stacked of awning windows surround this three-storey property. 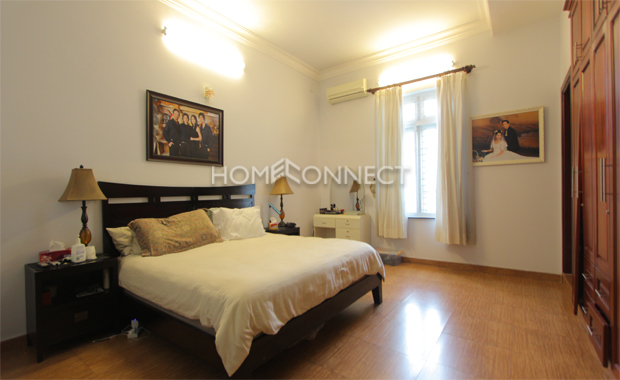 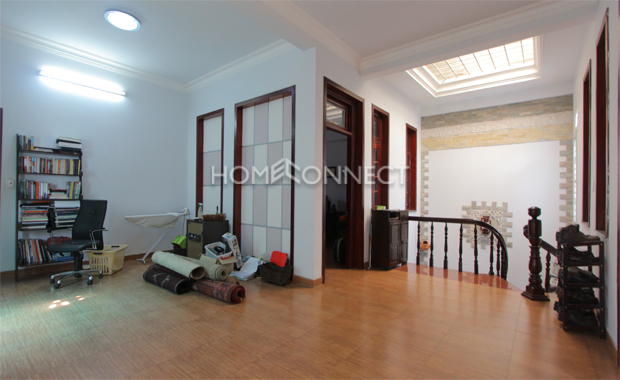 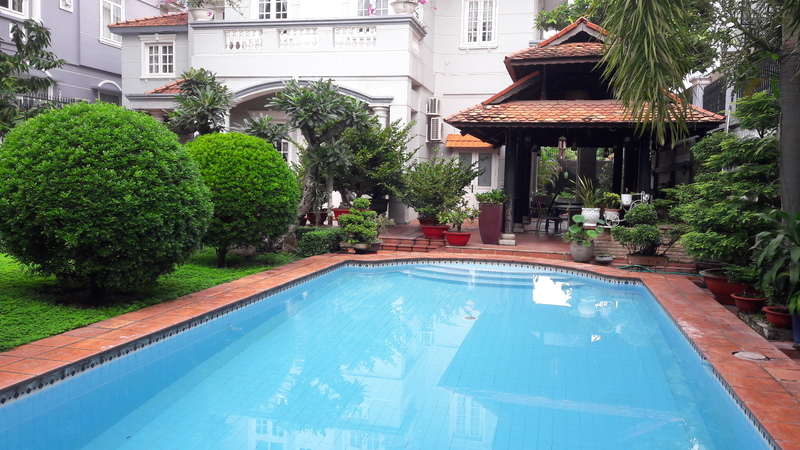 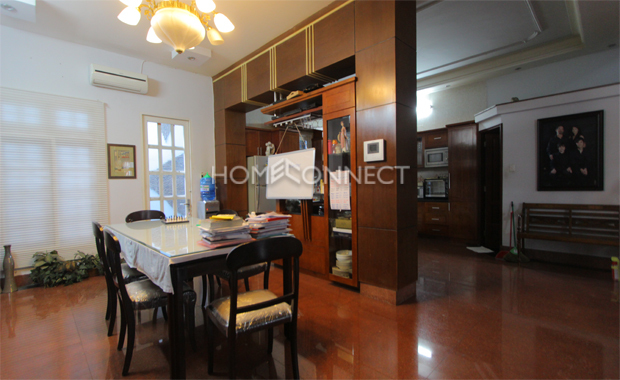 Available now for lease at a reasonable price, this home in Ho Chi Minh City holds five bedrooms and five bathrooms on a total area of 200 square meters. 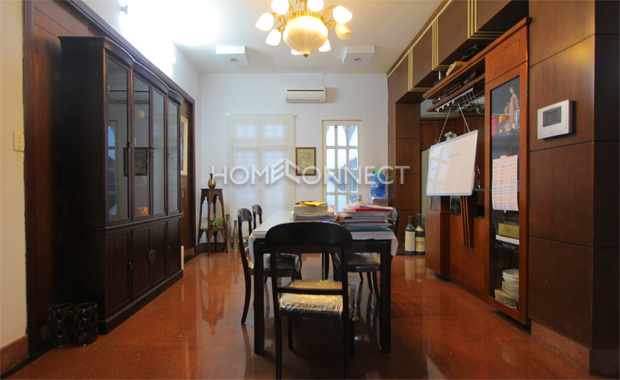 Partially furnished, this residence in district 2 features interior set on ceramic tile. 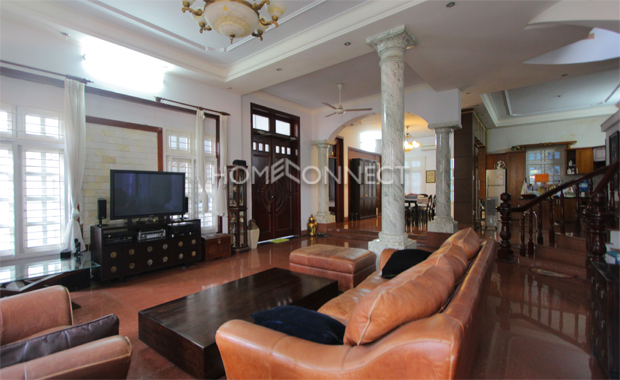 The ground floor holds the living, dining, and kitchen areas. 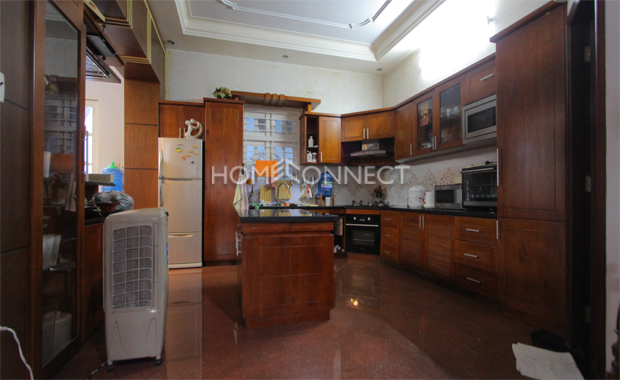 The kitchen is fitted with marble countertop, cabinets, pull-out drawers, sink, oven, stove, and hood. 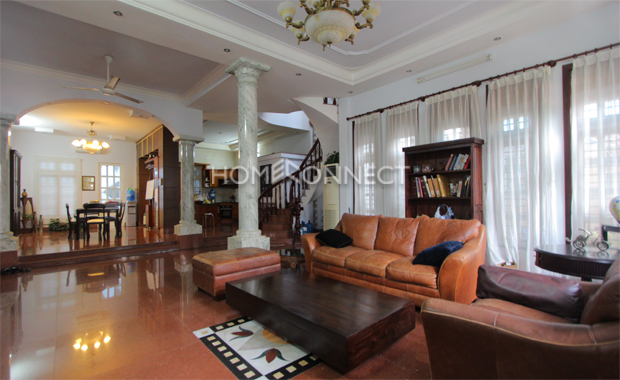 A hardwood staircase with wood railings lead to the spacious bedrooms in this housewith, white walls, large windows and are outfitted with various size beds, built-in wardrobes and dresser. 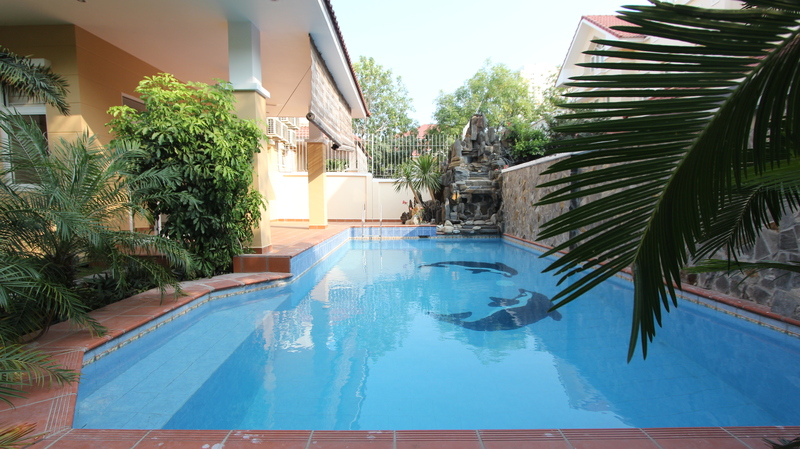 The luxurious bathrooms are equipped with shower stalls, basin and are complimented with cast in marble from floor to wall. 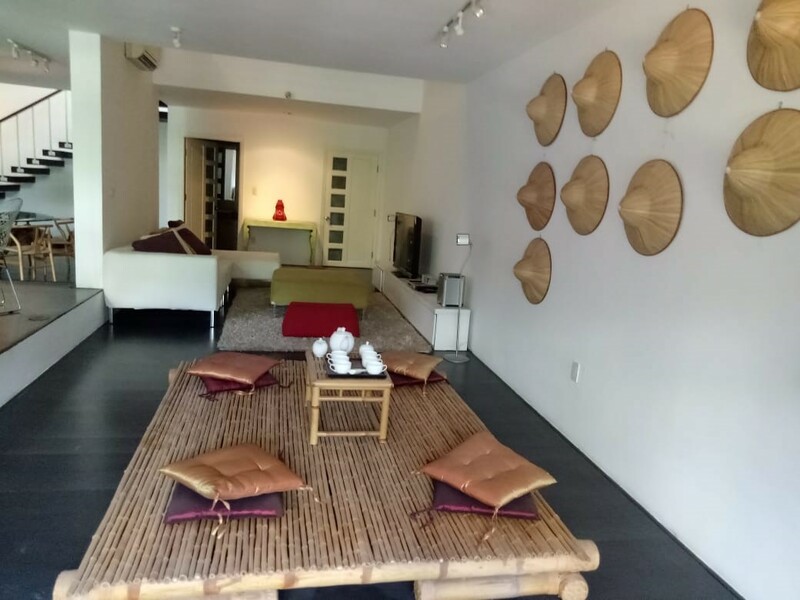 Location of this townhouse for lease is off the major freeway coming from the city center, Cat Lai area and District 9. 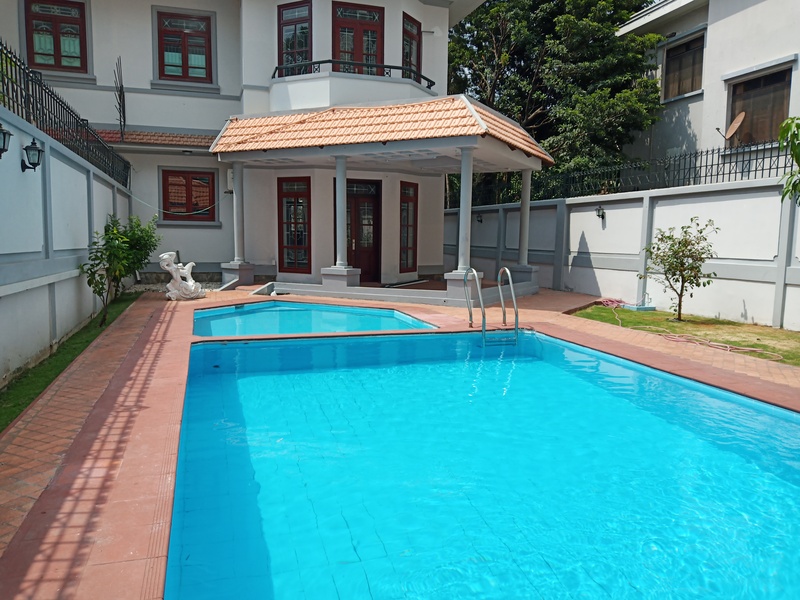 This area offers a vast selection of international schools, authentic cuisines, supermarkets, retail stores, spas and recreational facilities.